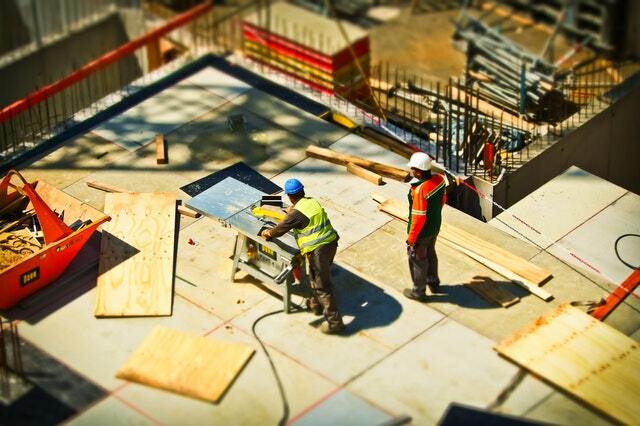 Initiating a commercial construction project all on your own is not an easy feat. Not only does it require a lot of planning and strategy, but also warrants your time and money. A common misconception about building a commercial shopping and medical centers or office spaces is that it is the same developing a house. However, this is far from accurate. With homes, you only need to focus on one particular thing. Commercial projects can be intimidating because there are a lot of different things you’ll need to pay attention to. What you have to remember is that if you want to succeed at building a commercial construction project, you need to make decisions at the beginning that will make the process easier. So, here are some crucial points you’ll have to consider when you plan to start a commercial construction project. One of the essential duties you’ll have to perform before you start building a commercial or industrial construction is of acquiring permits for construction. Because licenses differ from state to state, you’ll need to talk to the local authorities and ask them about what you need. If you have already drawn your plans, you’ll need to send them to the planning commission for their approval and remember that while the process is pretty straightforward, it takes an average of 3 readings before any plan is approved. So, find out about the legal documents and permits you’ll need to proceed ahead so that there are no glitches. Before anything else, you must assure that you get in contact with a professional and dependable contractor who can assist you in the construction. These contractors will be even more useful if you’re new at this because they’ll have the experience to guide you through the process and can tell you whether or not they can implement your ideas when the construction begins. Look for a commercial construction company that has a proven record of creating flawless buildings and is well-known in the industry. You must also ensure that you can depend on them for advice and that they can complete the job on time and budget. Refer to online reviews, testimonials and find out as much as possible about the organization before you hand your project over to them. When you are taking on the creation of commercial construction, you cannot dive in without a plan. Even if you think you’ve everything settled in your mind, you still need to write it all down. A business plan won’t only help you in getting commercial building business loans but will also give you an overall picture of your project looks like. It will tell you about the requirements and the things you need to meet them effectively. The business plan will provide honest insight into the necessities and the potential or abilities you to have to acquire them. So, remember to take your time when making a business plan and be careful to add every little detail you can think of. When you’re building something commercial, you have to give special consideration to the site. If you plan on creating office spaces, you must ensure that the project is at a central point, so both employers and employees don’t find it challenging to reach their respective offices on time. You shouldn’t only be looking for a plot that can fit everything you want but should also consider other things as well. For example, if you’re constructing an apartment building, considering how much traffic will pass through will have an impact on the rent tenants are prepared to pay. Other than this, you’ll also have to think about whether or not the building falls under the flood or earthquake zone because these two are crucial. If you haven’t gotten around to selecting the location yet, then it is advised that you think about it carefully. Starting a commercial construction project is demanding and requires a tremendous amount of hard work and planning. However, if you’re careful to stick to the requirements and make sure that you consider these points, you’ll be good to go.